With some of the most extensive engineering personnel resources available in the industry, SelectTech provides a wide range of engineering and test support services to DoD and partner organizations. Our communications system solutions include customized communication gear enclosures, specialized antenna systems, and assimilation enabling devices. 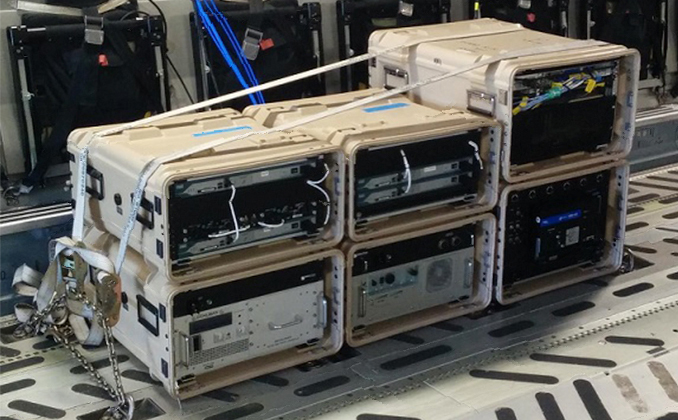 VIPER is a palletized, transit case configured airborne communications suite that provides high-speed INMARSAT, secure and non-secure voice, UNCLAS/SECRET/TS data, and secure and non-secure facsimile capabilities. The system was developed as a smaller footprint version of the Steel Eagle communications system. VIPER is configured in six primary system cases and up to four ancillary support cases. 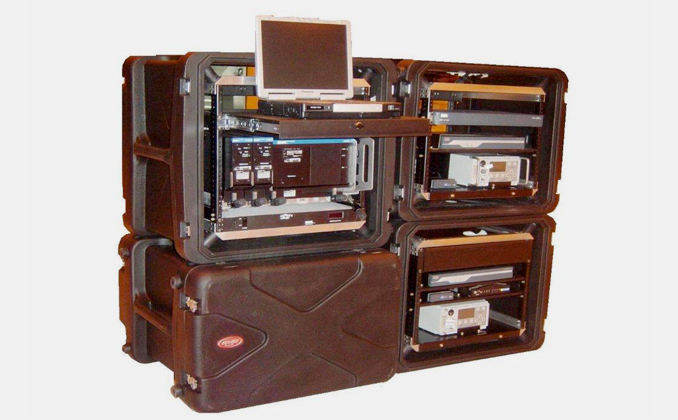 The primary system includes UPS Cases, INMARSAT Radio Case, Gateway Network Case, EACN Network Case, and the BBSN Terminal Case. The system uses power, antenna, and navigation interfaces from the aircraft to provide reliable communications mission capability. VIPER systems are frequently used to support SLICC missions. VIPER packages carry all necessary certifications, to include airworthiness, component-level EMI, and aircraft-level EMI/EMC. This versatile capability is hand-carried for aircraft installation; no special equipment is needed for loading and unloading the system. The cases were designed around a removable rack system for ease of maintenance. SelectTech currently supports eight fielded VIPER systems, distributed between Andrews AFB and Al Udeid AB, Qatar.